Ischemic stroke patients who do not receive intravelous (IV) alteplase, a clot-dissolving medication, are significantly less likely to survive, according to researchers at Georgia State University. 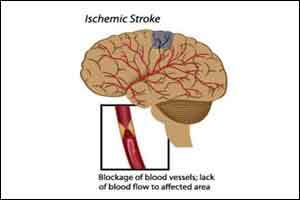 Ischemic stroke is the most common type of stroke. It occurs when a vessel that supplies oxygen-rich blood to the brain becomes blocked, often by a blood clot. IV alteplase was approved by the Food and Drug Administration as a treatment for acute ischemic stroke in 1996 and is known to reduce disability and improve functionality by restoring blood flow to the brain. Yet two decades later, less than 10 percent of patients receive the treatment. The study, published in the American Journal of Emergency Medicine, analyzed 2008-13 data from the Georgia Coverdell Acute Stroke Registry, and linked it to 2008-13 hospital discharge and 2008-14 death data in Georgia. The investigators found that one year after discharge, acute ischemic stroke patients who did not receive IV alteplase treatment had a 49 percent higher likelihood of death. The study authors examined data from 9,620 patients who were treated at 48 hospitals. They excluded patients who weren’t eligible to receive the treatment because of contraindications, such as a recent history of brain surgery. Only a quarter of the eligible patients received IV alteplase. Previous randomized studies have shown some long-term mortality reduction for patients treated with IV alteplase but the results were not statistically significant. This study demonstrates that IV alteplase is associated with reduced risk of death, and that eligible patients should be identified and treated swiftly.